Native Plant Week as established several years ago by the California State Legislature. Love a plant today, and every day. 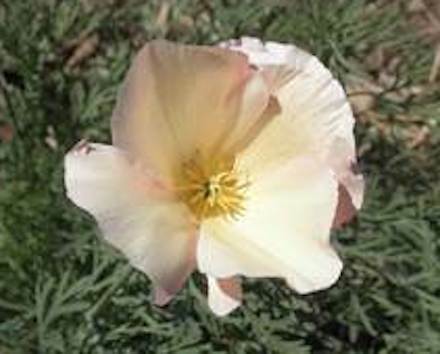 Above is a cute little beauty – it appears to be a mutant white Eschscholzia californica found at the Anstine Audubon Natural Preserve by my friend, Rebecca Wilbanks. In honor of Native Plant Week, which lasts through next week (stretching the definition of “week” somewhat, but it is al in a good cause: celebration!) I will be heading off on an adventure to Northern California to visit with chapters from Redding to Monterey.